There are “close links” between the Rwandan government and the main suspects in the 2013 assassination of exiled Rwandan dissident Patrick Karegeya, according to a newly disclosed letter by South African prosecutors. The letter is further evidence to corroborate a 2014 investigation by The Globe and Mail, which revealed the role of the Rwandan government in plots to assassinate Rwandan dissidents in South Africa. 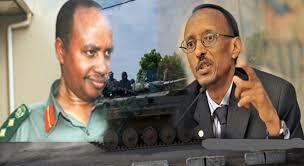 Mr. Karegeya, a former Rwandan spy chief and close aide to Rwandan president Paul Kagame who later became a leading opponent of the government, was found dead in a luxury hotel room in Johannesburg on Jan. 1, 2014. He is believed to have been strangled to death on the previous night by Rwandan suspects who fled back to Rwanda within hours. Judge Mashiane Mathopa, in his ruling on Monday at the start of a Johannesburg inquest, ordered the South African investigators to explain “what, if any, steps have been taken to arrest the Rwandan suspects, since their whereabouts and their identity are known.” He gave them two weeks to comply with his ruling. The police investigation began “like a house on fire” after the murder, but then faded into stagnation by 2015, the judge said. Key DNA evidence was gathered, but it is unclear if it was ever analyzed properly, he said. A lawyer for the Karegeya family has suggested that the case was blocked by “political meddling.” The South African government has been trying to restore relations with Rwanda in recent years, after an earlier rupture caused by the Karegeya assassination and South African’s decision to expel three Rwandan diplomats who were allegedly involved in the Karegeya murder and the attempted murder of another Rwandan dissident. The letter by the South African prosecutors, written in June 2018, makes it clear that “the prosecution knows who and where the suspects are and what needs to be done,” Judge Mathopa said on Monday. There is no extradition treaty between South Africa and Rwanda, but South Africa could still request Rwanda’s cooperation in sending the suspects to South Africa, lawyers say. South Africa could also issue an international warrant for the suspects to be arrested if they travel to other countries, the lawyers say. The inquest into Mr. Karegeya’s death, requested by the prosecutors, does not enjoy “public confidence” and would be “premature” at a time when key evidence is still not completed and nothing has been done to arrest the suspects, Judge Mathopa said. Mr. Karegeya’s family members said they were overjoyed at the judge’s ruling, which they see as a long-awaited breakthrough in the case. After more than five years of waiting for justice, they said they are increasingly hopeful that the truth will now emerge. Mr. Kagame’s own statements, just two weeks after the Karegeya assassination, showed that he “came close to condoning” the murder, Human Rights Watch said.